We use lots of Inter Audio Video calling app. But many of them has low quality Video Experience including call drop. But there are some of them has good quality and Clear Audio Video calling features. Let’s have a look on them. 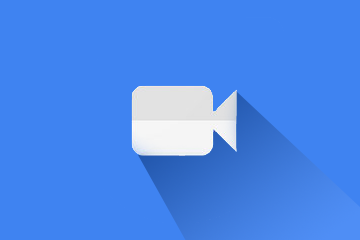 Today, I will talk about two Android application that have good quality of Video and Sound experience. Both of them I love but first will talk about Google Due as it’s bit light rather then Skype. And Google Due is specially for calling where with Skype, you can text as well as send files. Lets see what best features Due have. Easy to install and active, very light app. Super clear audio and video call but little high speed required. Only for calling from to cell phone to cell phone. Before receiving video call, you will have live face of caller. can send video or audio message if call not received. Available on Android Play store and Apple App Store. Available in almost all major platform like, phone and desktop. Can send files and messages. Can call to any network in a law cost ( skype to skype free, but skype to other network, need a little cost ) . Clear audio and video based on internet speed. Can share scree from desktop or laptop. Can use web version for message, audio and video call. Need Microsoft account or skype account. You can have more details about skype at there web page https://www.skype.com/ or download.